Whether you are an agricultural co-op, forestry wood distributor or independent farmer, the experts at Weber will work with you to create a complete labelling solution for your needs. 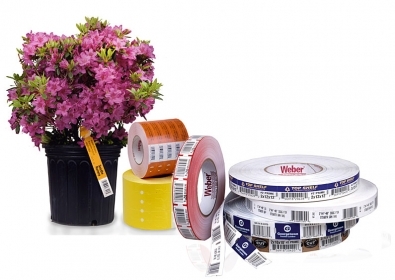 If you are labelling agricultural products, seeds or tagging plants and lumber, Weber has a solution to fit your needs. Weather Resistant labels need to be able to handle exposure to all types of weather conditions plus direct sunlight and constant watering. Our polytag material can stand up to the job plus you can print variable information on-site with our thermal label printers equipped with durable thermal ribbons.